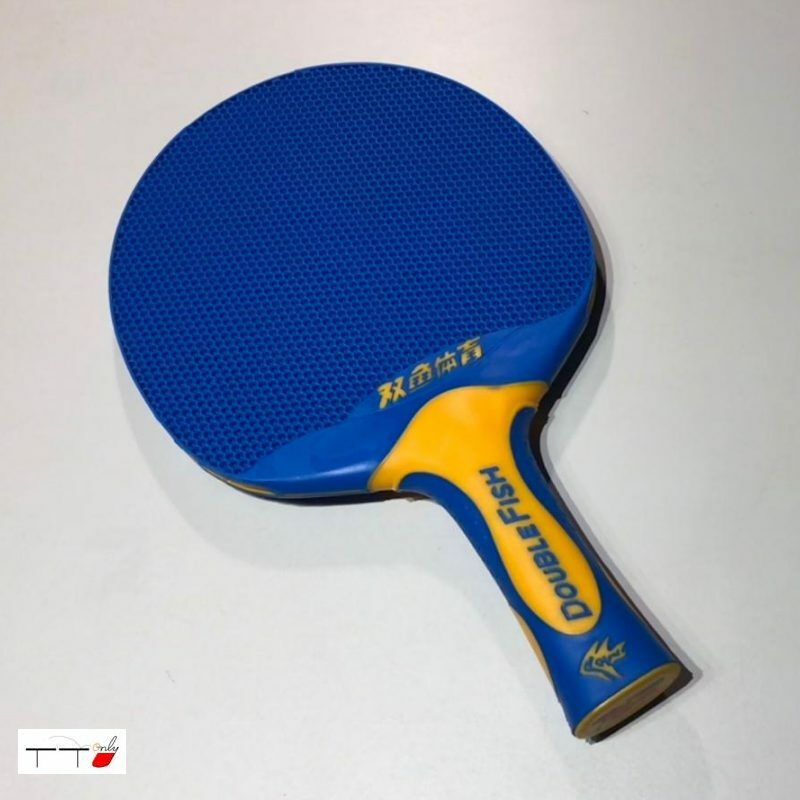 This is a new Double Fish 1-piece ping pong racket. 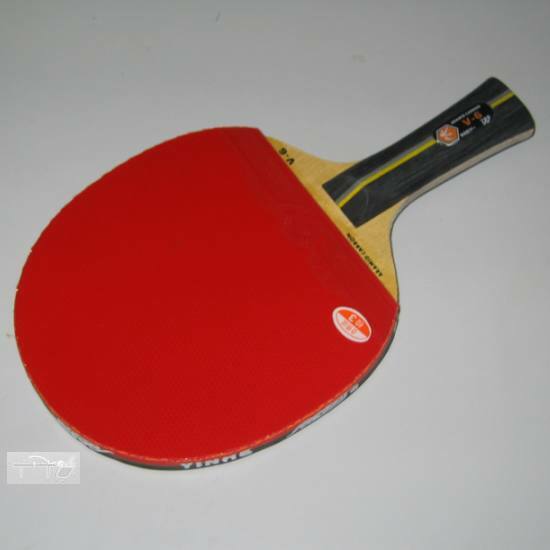 Rubber and hard plastic are made into 1-piece racket. 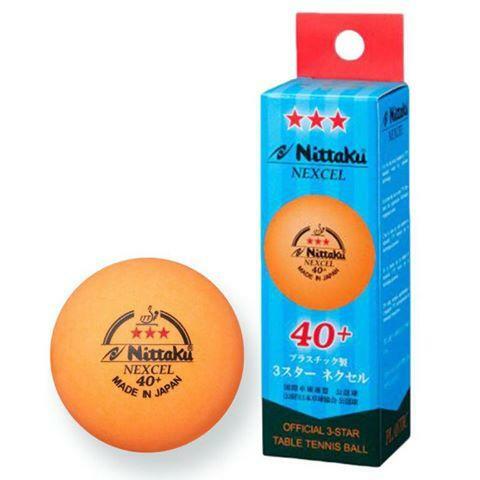 You will never need to replace rubber surface. 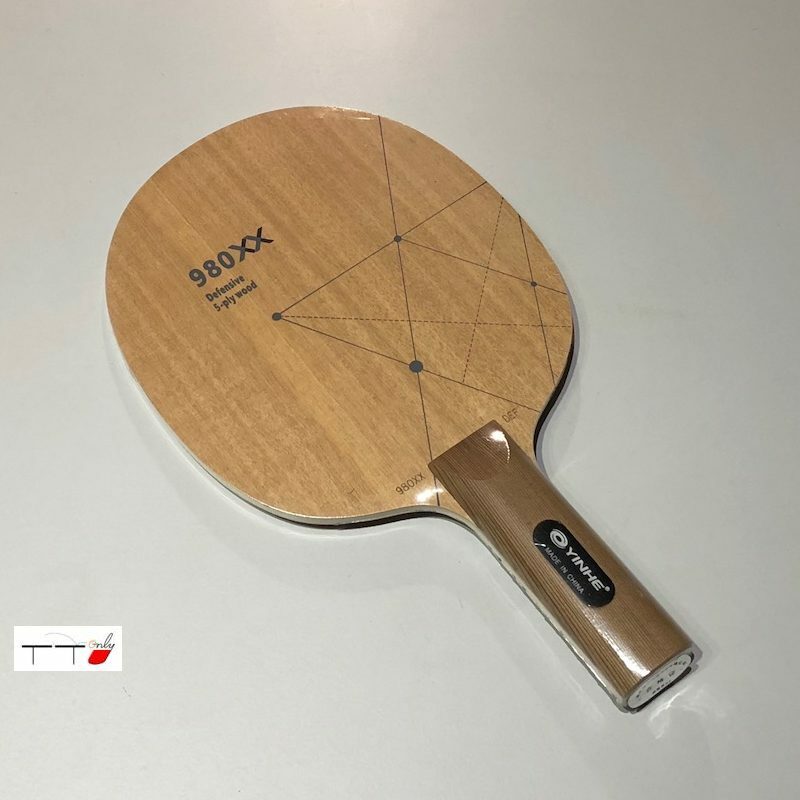 It is very playable, good feel, and be able to produce good amount of spins. Most importantly it is very durable.